Professor Riccardo Amirante, PhD, was born in Bari on June 26th, 1969. He is associate professor of “Fluid Machinery and Energy Systems” at the Politecnico di Bari (Italy). 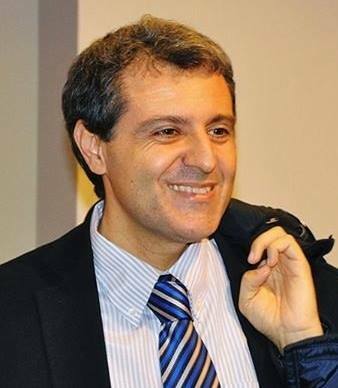 From 2013 to 2019, Riccardo Amirante is a delegate of the Rector of the Polytechnic of Bari for the communications and institutional image of the university. He represents the Polytechnic of Bari in the Management Board of the Regional Food District of Apulia, vice-president of Regional Renewable Energy District of Apulia. From 2013 until today, Riccardo Amirante is a member of SAE (Society of Automotive Engineers) Italy governing board, the Italian scientific and technical society with more of 600 members born in 2000 by Rodica Baranescu. Reviewer for international journals such as Energy Conversion & Management, Automation in Construction, Journal of Dynamic Systems, Measurement and Control. He also is on the editorial board of Universal Journal of Engineering Science, an international peer-reviewed journal. Riccardo Amirante is Director of the “Bari Automotive Summer School”, the first Summer School organised by Polytechnic University of Bari and Bosh Group. His research interests are in the field of fluid dynamic design problems applied to horizontal centrifugal separators and with their applications to food industrial process, such as in the field of Hydraulic transmissions, Energy Systems, Combined Heat and Power Systems, Wind Turbine.